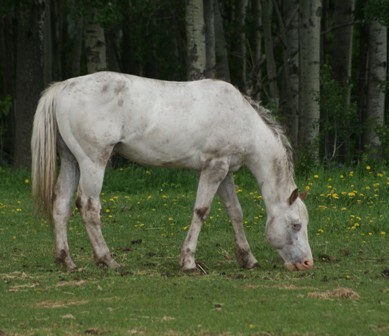 Lazer in January 2013 still back in Alberta. This boy is big, solid, and beautiful! He has 1 and 1/2 blue eyes. He consistently throws big solid beautiful babies as well, mainly with big stockings and socks, big flashy blazes and face markings, and some with blue eyes, and usually all with a blanket marking too! 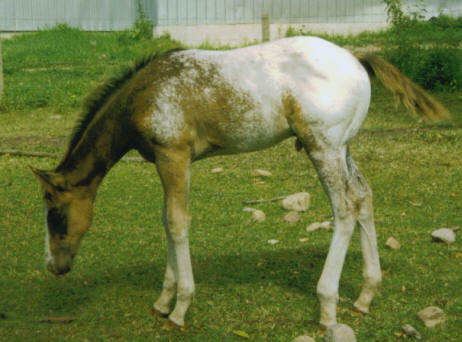 So far to date all his babies have been coloured appaloosas. 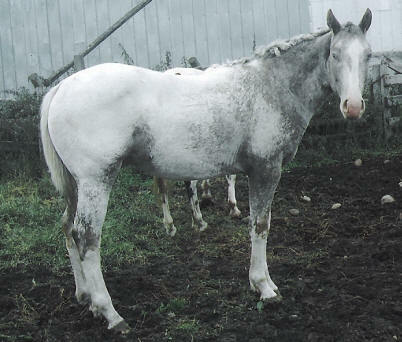 See below his pedigree info for pictures of his gorgeous babies. We are excited to add Lazer to our breeding program. 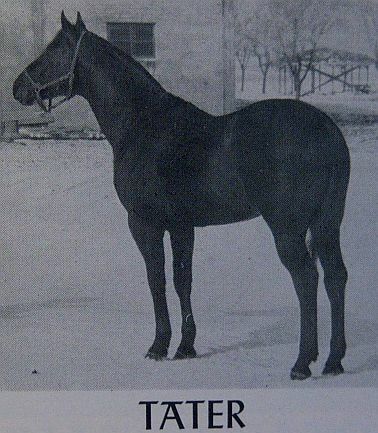 Lazer was injured as a yearling, being caught up in a fence and ripping apart both hocks, he is unfortunately not 100% sound and so has not been trained, but shows his excellence through his foals. 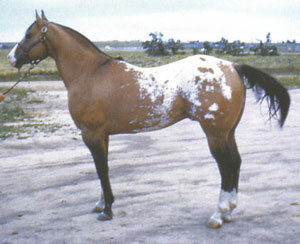 He is sired by Might Boy Bright and out of a mare that goes back to the famous Chief Joseph Appaloosa stallion. Here is Lazer around 3 or 4 years old. 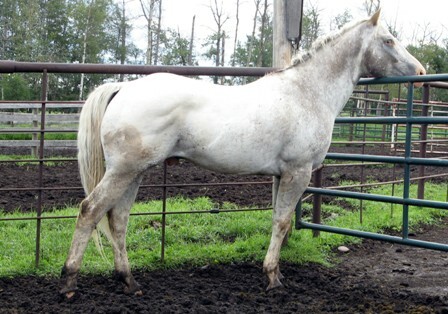 We have purchased him from Pete’s sister, who bred and raised him and used him in Alberta to breed some of the family’s mares to produce that consistently big strong smart colourful versatile appy. 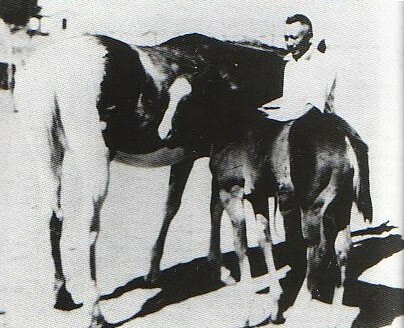 Lazer back as a weanling and as a young foal too. 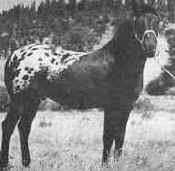 Black with Blanket Appaloosa (Smokey Black). 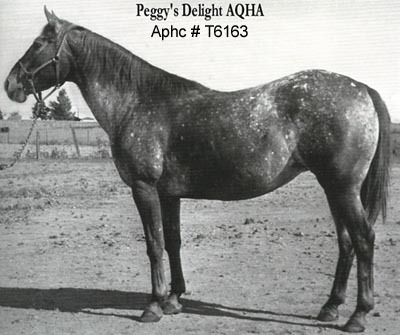 AQHA Palomino Ladys Black Eagle (Sired by the great foundational Hall of Fame AQHA sire King.) King. 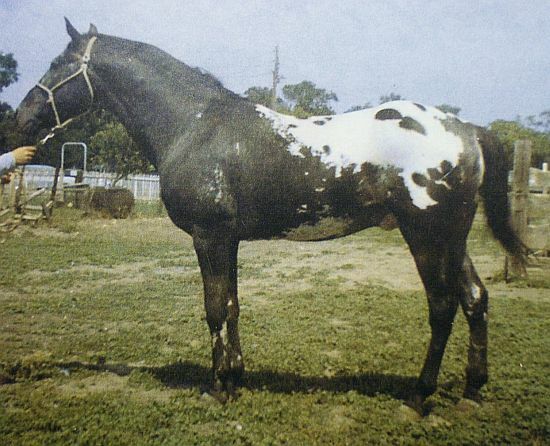 Dark Chestnut Appaloosa, 1971 High Point 3 Yr Old Stallion, National Champion Stallion, Performance Winner. 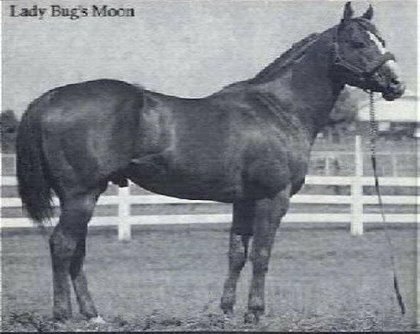 Medallion Sire. ROM Sire. 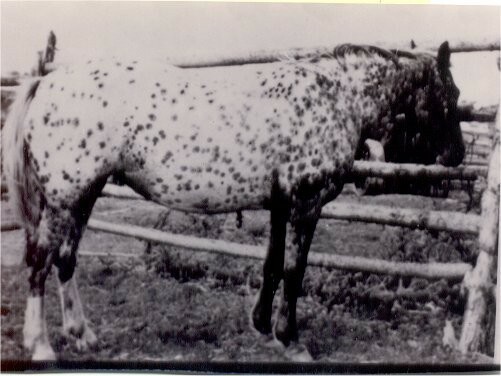 Warrens Red Dog (Red Roan Appaloosa. 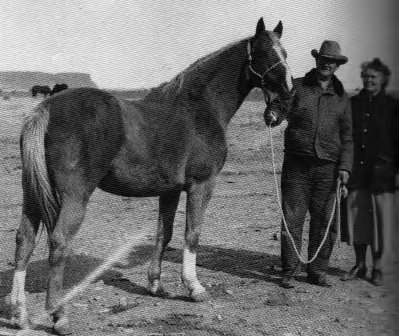 Sired by Multiple National Champion Sire and ApHC Hall of Famer Patchy Jr. grandson of Sundance (more info can be found on him at the Sundance 500 site).) Patchy Jr.
ApHC Hall of Fame. 1955 Natl Ch. 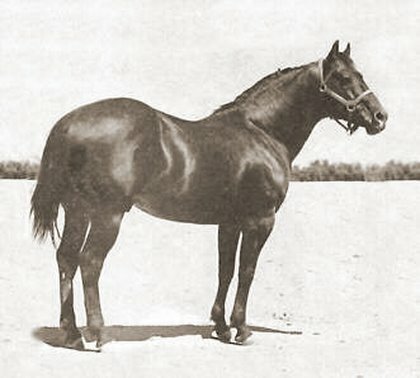 Stallion; 1954 Res. Natl Ch. 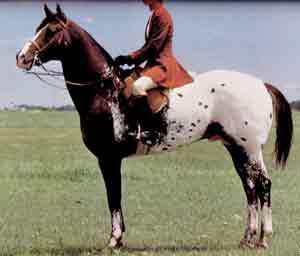 Stallion; 1964 Natl Ch. Get of Sire; Natl Ch. Sire. 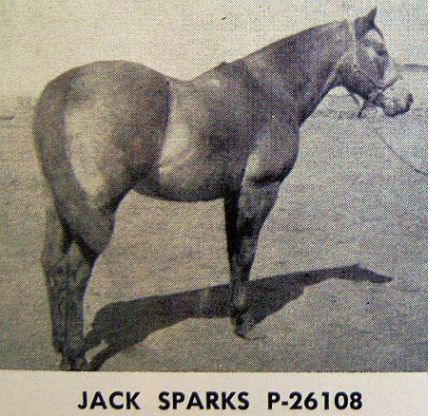 CO Hall of Fame 2005 – Further information on Patchy Jr. Can be found at Sundance 500 International Website – http://sundance500.com A foundation Appaloosa. 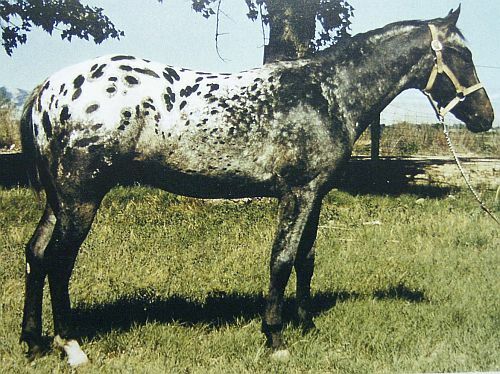 Leopard Lady (Red Roan leopard appaloosa. 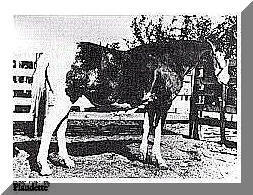 Sired by ApHC Hall of Famer Sundance.) 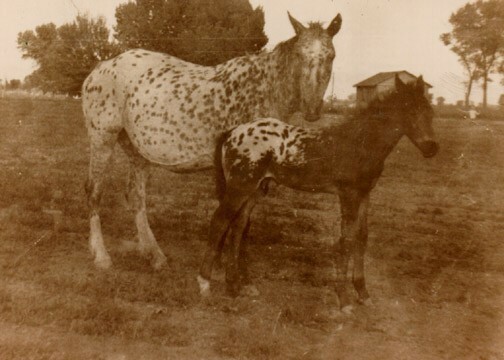 Leopard Lady pictured with Patchy Jr. as a foal.